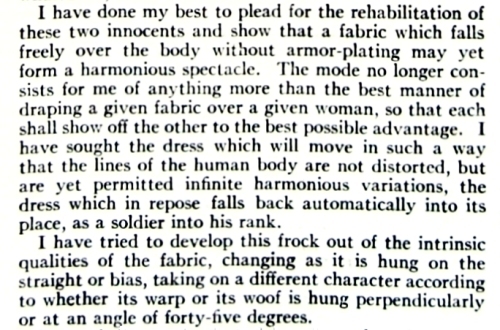 “One glance at this page should leave no doubt in your mind about bodice drapery. It is headline news. You can’t ignore it — especially in the more formal type of blouse shown here. 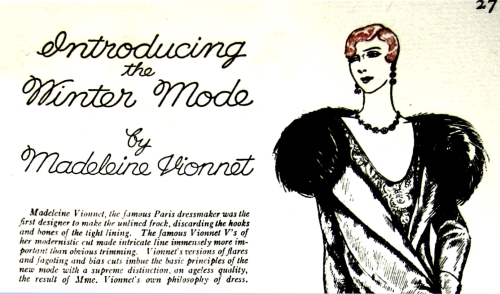 Lame, crepe, velvet, sheer wool — a short length of material plus one of these patterns is all you need to have a blouse. 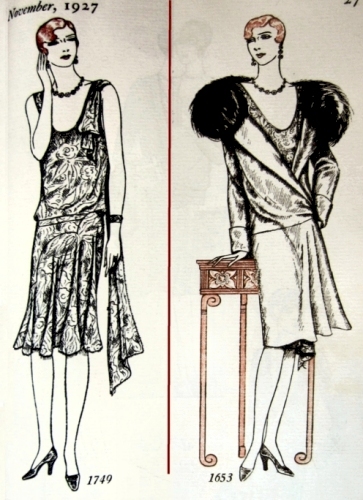 Make several to revive a suit or top a velvet skirt. 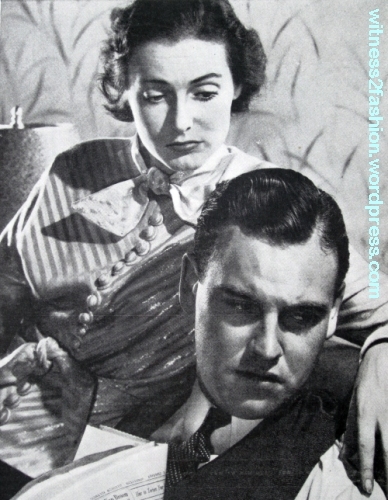 They are a boon for special occasions and an easy way of expanding your wardrobe.” — Woman’s Home Companion, November 1937. There are four separate patterns here. 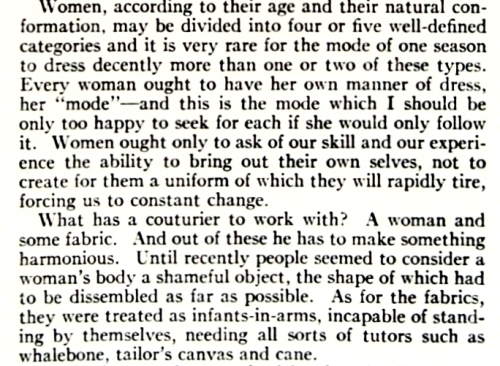 They are all shown as overblouses — two look rather like jackets. 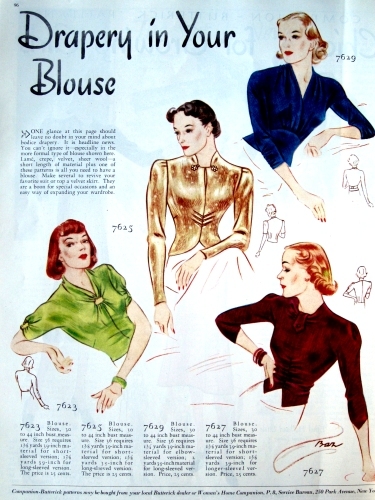 These blouses, all meant to be worn over the skirt, look marvelous in color, but it’s easy to imagine them also made in white or pastels for office wear, or made of crêpe or wool with a matching skirt. 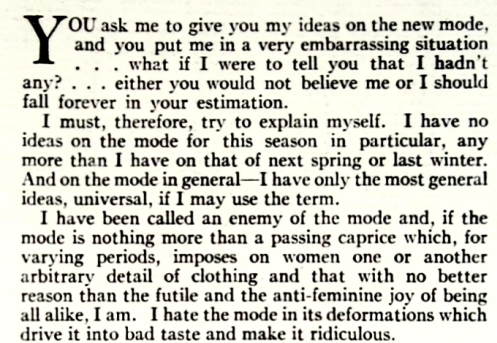 1937 was still Depression-era, and Companion-Butterick patterns were often described as an economical way to make your wardrobe look bigger than it was. This jacket-like blouse could also be made in a short-sleeved version, which would be pretty under a suit jacket. The pattern description does not say anything about how it closes. 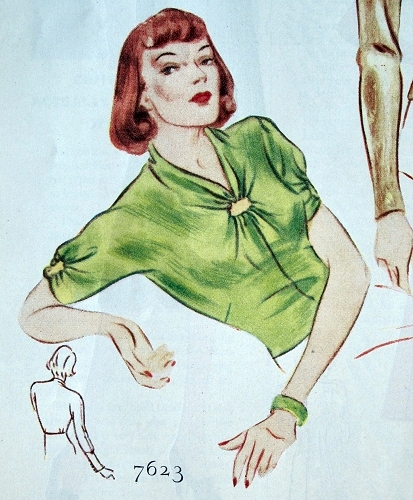 This is the only blouse pattern with set-in sleeves. 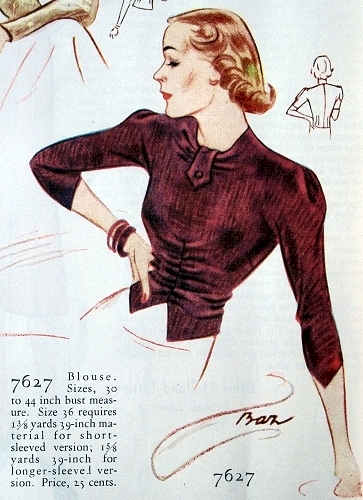 This blouse looks very current to me, except for the little belt in back, which snugs it to the waist. It seems to be cut on the bias. 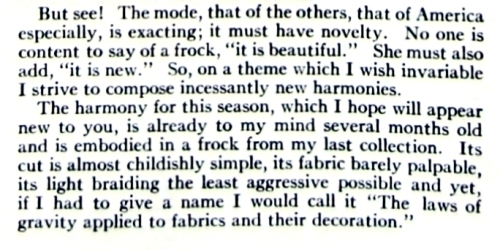 Or I can imagine a modern version in knit, with an invisible side zipper. 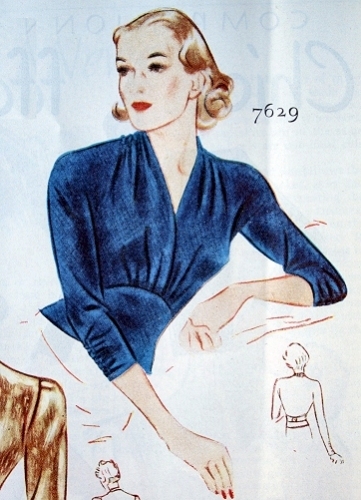 The pattern description doesn’t say how it closes; the shorter sleeves seem to be ruched to 3/4 length, but wrist length sleeves are also illustrated. 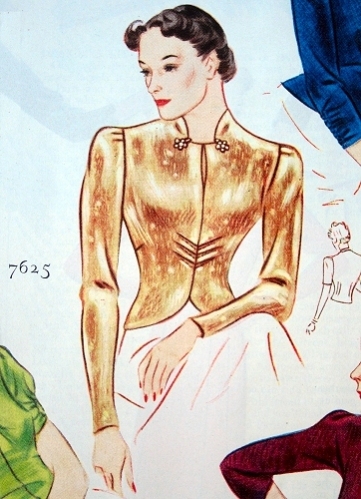 Companion-Butterick Pattern 7623, Nov. 1937. A longer-sleeved version was included. Again, there is no information about how you got this tightly fitted blouse on and off. The gold novelty buttons – if that’s what they are – are a nice touch. This blouse has interesting sleeve variations and a waist that looks almost like a vest or weskit. Since it has a center back seam, it may use a center back zipper. Lamé was not the only metallic fabric available in the 1930s, as you can see from this 1936 advertisement for Fleischmann’s yeast. 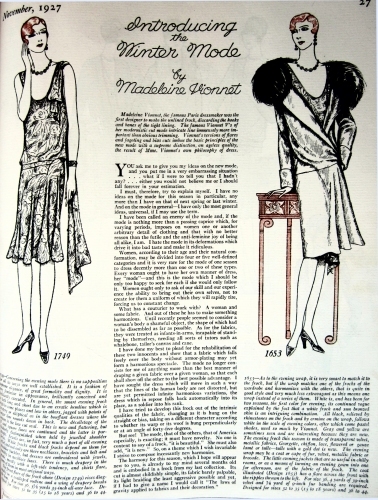 All four of the Companion-Butterick patterns were available in sizes 30 to 44 inch bust measure.